An investigation into Burning Sun was first launched in January amid allegations that the club was drugging people and supplying them to customers to be sexually assaulted. In February, texts from a group chat between Seungri and others implicated in the case (including Korean actress Park Han-Byul’s husband) were uncovered where they discussed supplying prostitutes to bribe potential club investors and circulated hidden camera footage of women in sexual situations. Over the weekend, police raided the club and Seungri was subsequently charged. According to Korea’s Herald, Jung Joon-young and other unnamed suspects were booked for illegally filming and spreading videos of a sexual nature. Both he and Seungri have been banned from leaving the country. 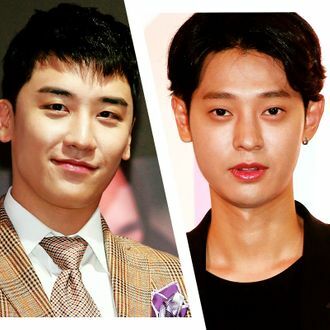 Police say evidence of Jung Joon-young’s crimes turned up in their investigation into Seungri and that the cases are “related and not related.” Jung Joon-young could face up to five years in prison.